We offer design and build service for composite decking. We work primarily with Trex and Timbertech composite decking materials. Composite decking is popular with home owners because of the versatility of the materials. 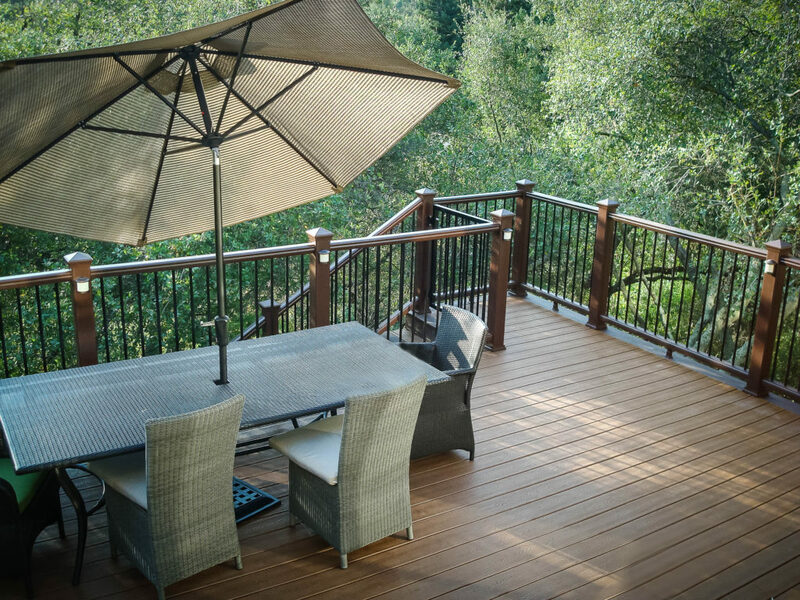 Composite decking comes in an array of colors and textures, from neutrals to accent your home to colors and textures based on natural wood products. 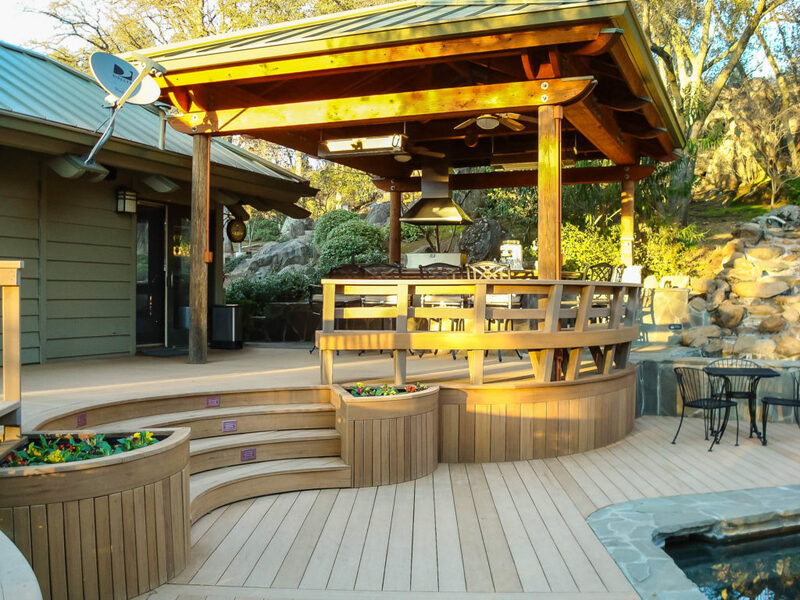 Trex composite decking can be heated and curved to add unique design elements to your project. Composite decking is produced using recycled wood and plastic materials and is resistant to rot, insects, fade, staining, mold and mildew, ensuring your project will stay looking new for years to come with minimal maintenance. Timbertech and Trex both offer a 25 year warranty guaranteeing their products will be free of defects. No sanding, no staining, no painting required to keep your composite decking looking great, just wash your deck of with soap and water or a pressure washer as needed. No need to worry about heavy traffic, wet planter pots, red wine glasses or dragged patio furniture, your deck will look great and you can relax.